Arcader Slots | FREE Spins & Sticky Wilds | Play now! Looking for an adventure? Look no further than Arcader Slots. Spin today and get ready to win win win! Don’t miss one more minute! 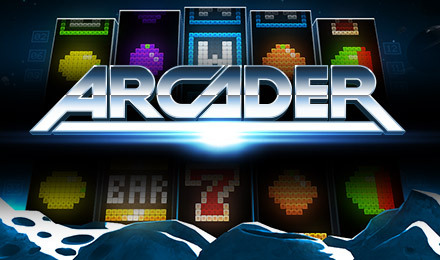 Arcader Slots has a space invaders theme mixed with your traditional fruit machine slot game. There are 5 reels, 15 paylines, and a 96.1% RTP. You’ll enjoy Wilds and Sticky Wilds, Multipliers and FREE Spins! Each symbol is pixelated and colourful, and there are meteors falling as you play. Go on a journey through space and win big! Arcader Slots is a guaranteed good time, so login and spin now!